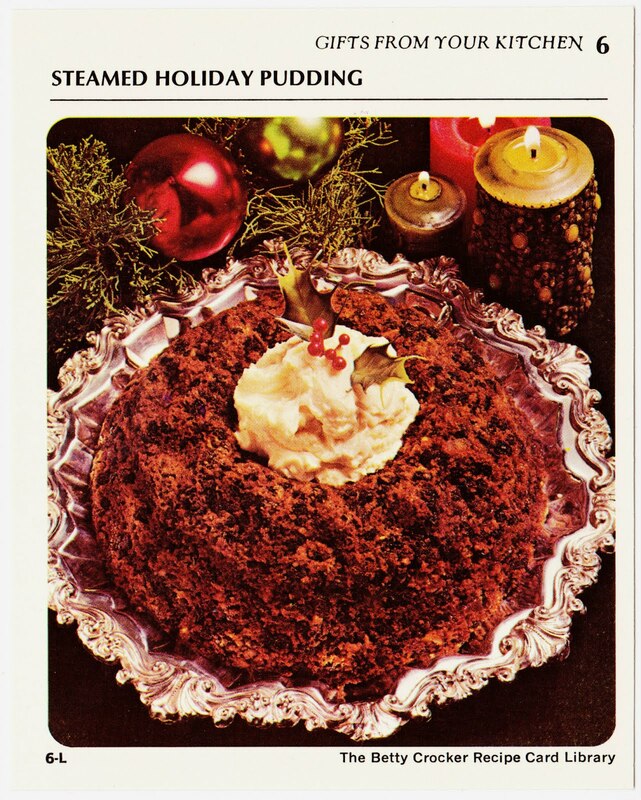 Anyone planning to have a lovely steamed holiday pudding this month? *Note: If using self-rising flour, decrease soda to ½ teaspoon. Grease well 2-quart ring mold or turk's head mold. Measure flour, soda, salt, cinnamon, mace and nutmeg into large bowl. Stir in fruits, nuts and bread crumbs. Mix suet, brown sugar, eggs, jelly and fruit juice; stir into flour mixture. Pour into mold; cover with aluminum foil. Unmold; cut into slices and serve warm with your favorite hard sauce. 16 servings.